Is XTrade Forex broker reliable choice? Find out in this review! 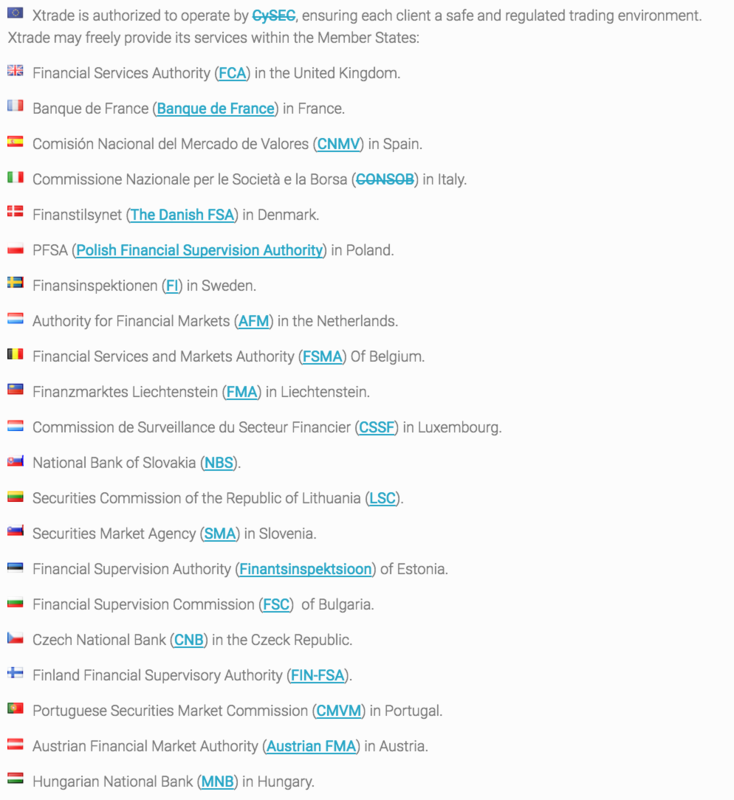 Want to find a good CFD broker and start trading with it? Today we present you one of the long-time players in the online CFD’s brokerages arena. Can it beat the competition and become your choice number one? Is there anything offered by Xtrade that will make you sign up with it right away? Find out in our honest Xtrade review below! Traders told us that this broker is unreliable! Forex and CFD broker that does not charge a commision on every trade that you make. 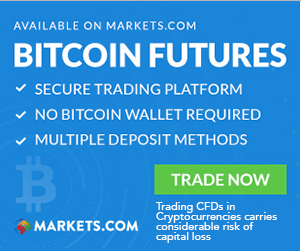 One of the new brokerages that tries to bring you high quality trading. This broker offers its clients the leverage of up to 1:400 while the required minimum deposit level is set for 100 USD. This means that if you make a minimum deposit during your Xtrade registration, you will be able to trade with the up to 40,000 USD budget. In addition to this, Xtrade offers $50 no deposit bonus, which can be found at our best forex no deposit bonus page. When it comes to choosing a Forex broker, the trading platform is one of the most important factors. 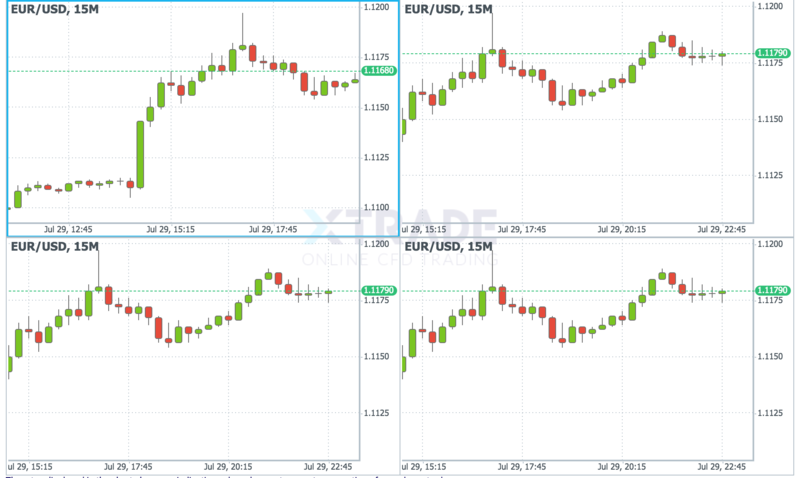 From the point of view of the Forex-Library, if the platform is not well-developed or lagging, traders would prefer to switch to another broker. That’s why Xtrade review decided to test this broker’s platform using demo account. In contrast to most of the other brokers, Xtrade trading platform is an in-house development project called Xtrader pro. This platform is not available at any other FX broker and was developed specifically for the Xtrade. XTrade reviews often highlight that this platform is web-based. Personally, Forex-Library recons web-based platforms to be easier to use since they do not require any downloads and allow to trade from almost every computer with the internet access. XTrade platform is comfortable and fast. It allows to place up to 5 different charts on one screen and has its set of charting tools. As for the mobile trading, full Xtrade review found out that this broker developed trading platforms for iOS, Android, and Windows Mobile users. Each of these apps can be downloaded from the official App Store. It is important for a good broker to have a high-quality customer support that speaks many languages. The customer support offered by the Xtrade is one of a such. They speak more than 30 languages including English, German, Spanish, and Indonesian. In addition to this, they are well-trained and can solve most of your problems connected with trading or Xtrade login right away. They can be reached using email, mobile phone or live chat. It is important to remember, that Xtrade live chat support is available from 9 PM GMT on Sunday till 9 PM GMT on Friday. Being one of the well-developed brokerages, Xtrade makes sure that your deposits and withdrawals will be hustle-free for you. In addition to standard funding methods such as wire transfer and credit cards, Xtrade made the agreements with different online wallets and payment systems. At the moment of the Xtrade review, this broker offered account funding using such systems as Sofort, PayU, Webmoney, and Alipay. When it comes to withdrawals, Xtrade uses standard AML system. The deposited amount will be withdrawn via the same method, while all profits can be transferred to use using wire transfer. Such system is used by most of the Forex brokers, so there is nothing strange or suspicious in it. Wire transfers made with Xtrade are usually taking 3-5 days to settle, while account funding via plastic cards or online payment methods is almost instantaneous. 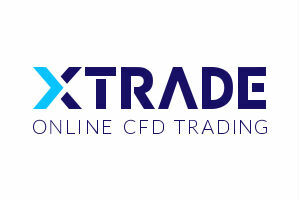 If you are searching for the CFD broker that has good customer support and web-based trading platform, Xtrade can be your choice. Commission-free trading should allow you to earn more, without bothering about the size of the commission that you will have to pay. Additionally, at the moment, this broker offers you No Deposit Bonus 50 USD promotion, which will allow you to start your live trading without risking anything. Xtrade Review	Overall rating:	4	out of 5 based on 1	reviews.